Since 1995 I have been blessed to serve as retreat director for gatherings of deacons and their wives, deacon candidates and their wives, priests and even bishops. 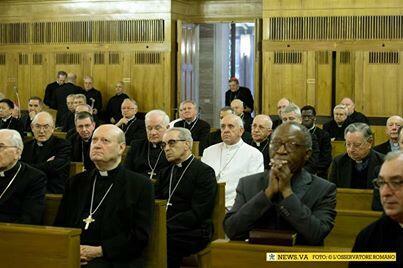 These have ranged from annual retreats, canonical retreats prior to ordination, anniversary retreats and so on. It has always been such a wonderful experience: the sessions themselves, the quiet conversations, meal times, the socials, and most especially, the time for prayer. There have been unusual moments, too! 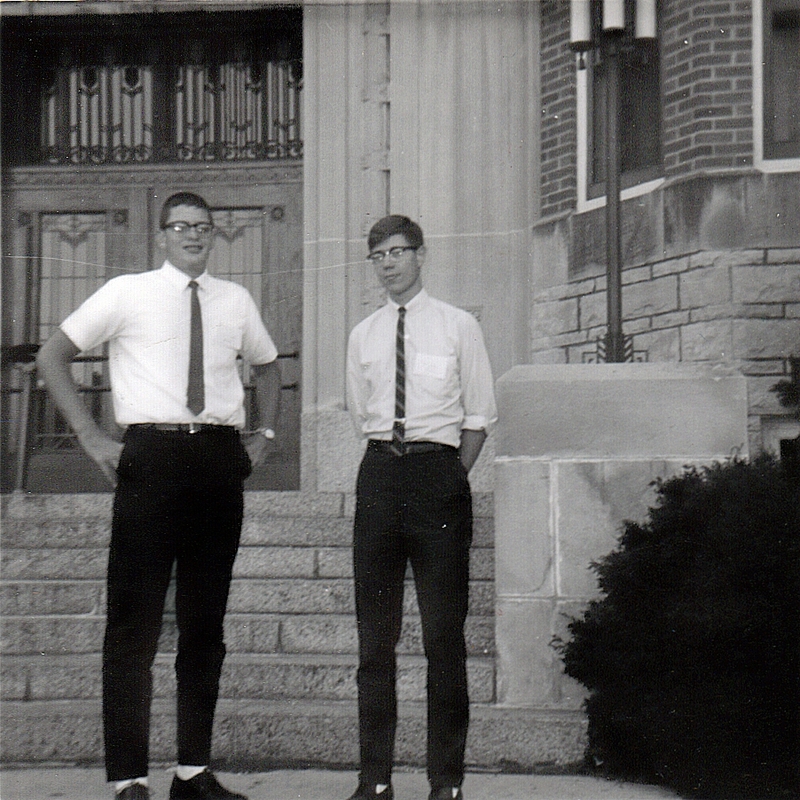 Like the time I discovered that one of the men who would be on retreat was an old high school seminary classmate whom I hadn’t seen since 1967 when we graduated! It was hard not to look out at him and think, “What a road we have all been on, and we could never have imagined that we would be together again all these years later as deacons.” Since that experience a few years ago, several more similar encounters with former seminary classmates have taken place: always a humbling experience! In a similar experience, I remember the first public academic lecture I was asked to give at the Catholic University of America after I received my Ph.D. there. The topic of the lecture concerned ecclesiology and catechesis, and the audience was full of my former professors, mentors and advisors: now they were there to hear what I had to say as a colleague. As a retired Navy officer who frequently briefed senior military and government officials and did all sorts of other challenging things at sea and ashore, I don’t think any of those experiences were any more frightening that preparing for that lecture and looking out at those particular people who had taught and inspired me so much. It was with those thoughts in mind that I came across the following images of Pope Francis arriving for the Lenten Retreat for the senior curia this year. 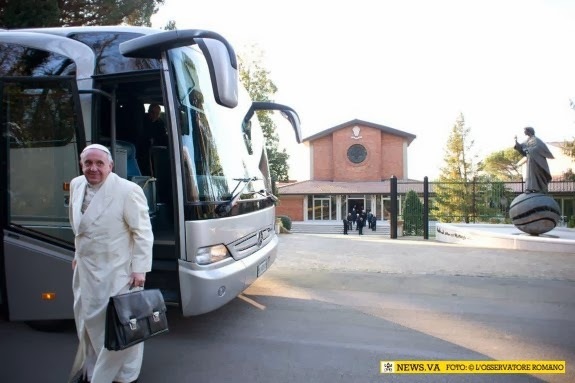 Smiling broadly as he steps off the bus from Rome, the pope seems happy to be away from the city, and one can only wonder what books he has brought with him in his briefcase! The retreat director is a parish priest from Rome, Msgr. Angelo De Donatis. Imagine looking out at the community of retreatants and seeing the humble figure in white listening to your every word! The Pope has also arranged this retreat away from the Vatican, in order to help the retreatants leave their own familiar environs behind. 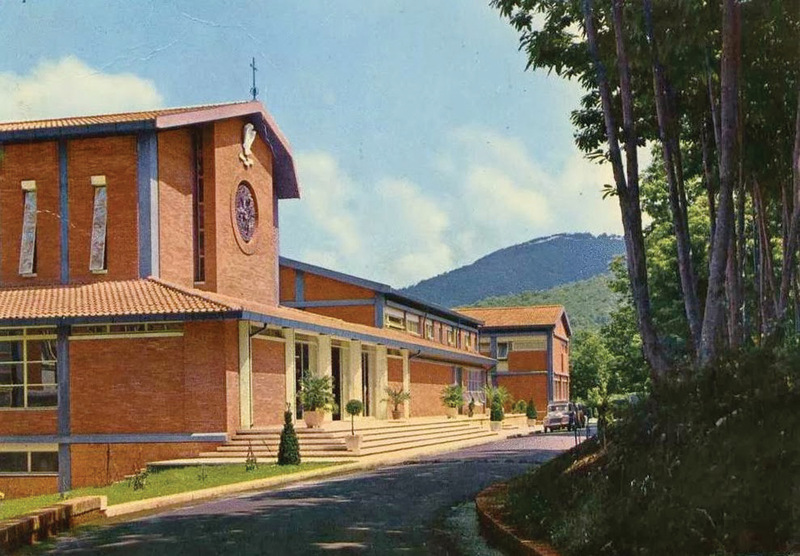 He and the curia will be on retreat from March 9-14 at the Pauline Fathers’ retreat and conference center in Ariccia, a small medieval town not far from the papal summer residence of Castel Gandolfo. 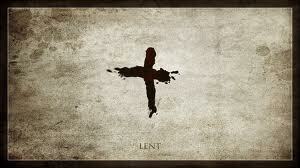 May we also find creative ways of retreating during Lent. Most of us may not be able to go off to a nice retreat location, but how might be walk a similar path nonetheless? Perhaps we can find ways to rearrange our work schedules a bit; maybe we take a lunch break and make a quiet visit to the Blessed Sacrament at a nearby church. Perhaps instead of going for that extra cup of coffee, we take that time and say a quiet decade of the rosary. Certainly our parishes offer opportunities as well: go to Confession, make the Stations of the Cross, sit quietly in prayer, take advantage of Lenten speakers or days of recollection. The benefits of finding a way to “retreat” are incalculable. The Pope himself said a few days ago that persons who can be on retreat “experience the attraction and fascination of God and return renewed and transfigured in their daily lives, their ministry and their relationships.” Even if we can’t go on a five-day directed retreat in a beautiful medieval town by a lake, perhaps we can break up our normal routine enough to open ourselves to this transfiguration during Lent. And, forget the elderly man in white sitting next to you! While lots of folks are able to get to church on Ash Wednesday, even more cannot. 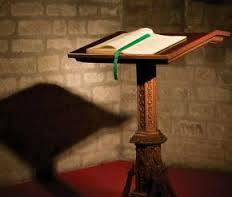 So, especially for those who could not be present, here are the Mass readings for today. Before turning to them, however, we might consider the nature of the season of Lent itself. Every Lent, as we sing about “these forty days” and refer to “the forty days” of Lent, we get questions: “Why are there more than forty days between Ash Wednesday and Easter?” “Do the Sundays of Lent ‘count’ as days of Lent?” “Do we ‘count’ Holy Week as part of Lent?” All of these questions, and so many more, reflect a misplaced understanding of the significance of the number “40” itself. By looking at it so literalistically, trying to treat it as a kind of math problem, we miss the fundamental point. Like other ancient languages, the letters that make up the alef-bet (“alphabet”) of the Hebrew language do double duty. Consider the letters of the Latin language first as an example. When we see “I” or “V” or “XII” we see both literal and numerical meanings: the letter “I” or the (Roman) numeral for “1”; the letter “v” or the numeral for “5”; the letters “x – i – i” or the numeral for “12”, and so on. Hebrew letters do the same kind of thing, but there is a kind of TRIPLE duty involved: the literal, the numerical, and the symbolical. Hebrew numbers have symbolic meaning: 1 is a Divine number, as is 3. The number 2 represents life and strength; the number 4 represents the universe created by YHWH. 3 plus 4, in Hebrew numerology represents the union of the God with God’s creation, making 7 a perfect number. 3 times 4 (12) represents God’s own community. Since 7 is perfection, 6 represents IMPERFECTION or SIN, since it just doesn’t quite “make the mark” of getting to 7. Consider some examples: YHWH is always emphasized as ONE God; the animals go into the Ark 2 by 2; 3 is a divine number — not in the later Christian sense of Trinity, but Divine nonetheless. The 12 tribes of Israel. And on and on, including the number 40. The people wander in the desert for 40 years; the rains of the great flood last for 40 days and 40 nights. We see these things carried forward into Christian Scripture as well. The very first thing that the apostles have to do following the Resurrection is select a replacement for Judas in order to return their number to 12! 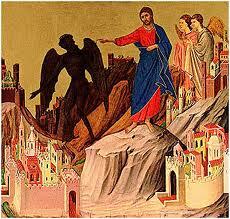 Jesus goes to the desert himself for 40 days where he is tempted. 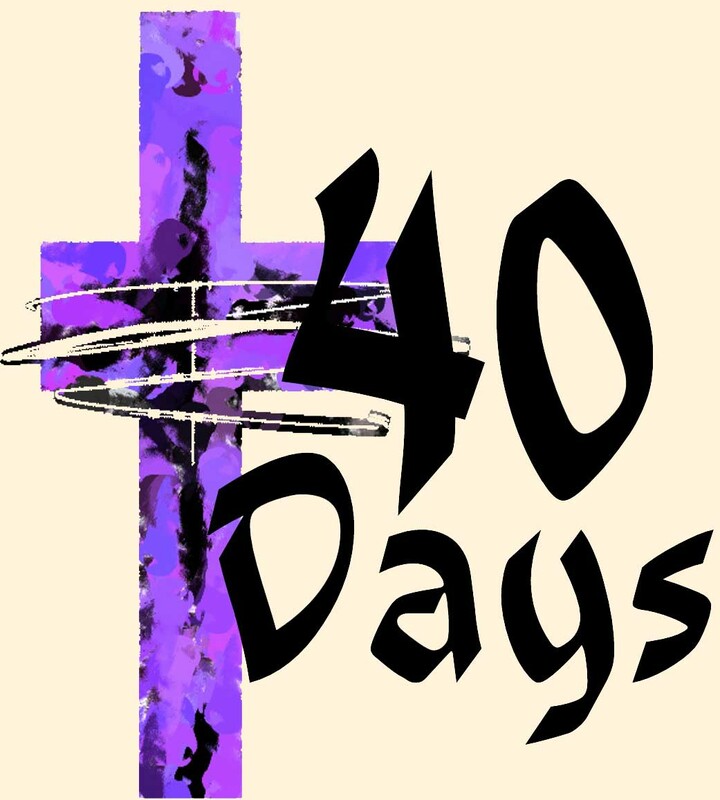 So what does all of this mean for us for the “forty days of Lent”? The number 40 is used to designate a period of human preparation and testing in readiness for a MISSION which follows. After the Israelites wander in the desert for 40 years, the enter the Promised Land; after the rains stop, YHWH and Noah enter into a whole new covenant; after his own sojourn in the desert, Jesus embarks on his public ministry as the Christ. So the period of time represented by “40” always points to what is to come: a renewal of covenant relationships as we enter into a new phase of mission. 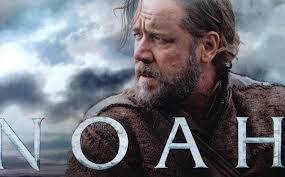 That’s the role of the forty days of Lent: it is not a goal in and of itself. It is to be a time of preparation for whatever the Lord is calling us to be and to do after Easter! How are we being formed for post-Easter mission? Just as we refer to Lent as the period of Purification and Enlightenment for the candidates for sacramental initiation at the Eastern Vigil, so too it is for the rest of us as well. This is a time of spiritual “boot camp” in which we are refined, formed and empowered for the mission to come. Whether in giving alms, praying, or fasting, the conversion to God is internal and not the result of “doing” the right things during Lent. Unless the outward observance reflects an internal “return to the Lord with your whole heart” we have missed the point! We run the risk of closing ourselves to others also: we risk forgetting them, too – but only when the difficulties and sufferings of our brothers challenge us, only then we can start our journey of conversion towards Easter. It is an itinerary that includes the cross and sacrifice. Today’s Gospel shows the elements of this spiritual journey: prayer , fasting and almsgiving (cf. Mt 6,1-6.16-18 ). All three involve the need not to be dominated by the appearance of things: the appearance of things does not matter – nor does the value of life depend on the approval of others or on success, but from how much we have inside. . . .
With its calls to conversion, Lent comes providentially to rouse us, to shake us from our torpor, from the risk of moving forward [merely] by inertia. The exhortation that the Lord speaks to us through the prophet Joel is loud and clear: “Return to me with all your heart” (Joel 2:12). Why must we return to God? Because something is wrong in us, in society, in the Church – and we need to change, to turn things around, to repent! Once again Lent comes to make its prophetic appeal, to remind us that it is possible to realize something new within ourselves and around us, simply because God is faithful, continues to be full of goodness and mercy, and is always ready to forgive and start over from scratch. With this filial confidence, let us set out on our way! 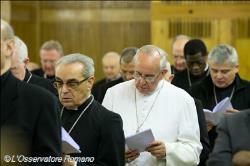 Read his whole homily here. Blessed Lenten journey to all!